It is standard to have to write an analysis essay in college or university. You might be asked to analyze a research paper, a movie, a company, a book, or an event or allowed to choose from a selection of analysis essay topics. But what about actual writing a critical essay? Regardless of what you are required to analyze, a critical analysis essay must be written in according to a series of rules that will ensure you have right the structure and content of the analysis paper. Before you learn how to start a critical essay, you should understand some fundamentals of writing this paper. In other words, you must understand how to write a good analysis. Essentially, when writing an analysis paper, you aren’t just describing the topic (the what); you write about peculiarities and essence of the topic. Compare the topic of the essay to something relevant. You can most easily do this by uncoveringpluses and minuses of the topic and what it is being compared to. In order to do this, you will have to compose a thesis statement. The key to writing an analysis paper is to choose an argument that you will defend throughout your paper. In this case, you will do an analysis of a specific topic. Your argument will focus on a thesis, which you will present as a thesis statement. Maybe you are writing a critical analysis paper on Captain America: Civil War. If you are allowed to choose your topic, you might choose to analyze how the movie handled the issue of national security versus personal freedom. Captain America: Civil War adequately captures the issue of giving up personal freedom for the sake of national security, a situation that mirrors actions taken by the government in recent years. Northwestern College and The University of North Carolina at Chapel Hill both give a great explanation of the thesis statement, how to create one, and what its function is. Define the main goal(s) of your analysis. Remember that it is impossible to address each and every aspect in a single paper. You probably have a limit on the word count, and let’s face it; you have more interesting things to do than write 10,000 words on how Captain America: Civil War handled the national security versus personal freedom issue. Know your goal and focus on it. Conduct research, both online and offline, to clarify the issue contained within your thesis statement. Identify the main parts of the issue by looking at each part separately to see how it works. It helps to try to identify the links between the various aspects of the topic. By using the information you found, try to solve your main problem. At this point, you should have a clear understanding of both the topic and your thesis statement. You should also have a clear direction for your analysis paper firmly planted in your mind and recorded in writing. This will give you what you need to produce the paper’s outline. You need to utilize gathered information and the arguments you have decided to use and figure out how to express them in your analysis essay. You will choose the top three arguments and assign one body paragraph to each. The University of the District of Columbia provides a great explanation and example of an analysis essay outline. This is when you get those fingers moving on the keyboard. Provide a lead-in for the reader by offering a general introduction to the topic of the paper. 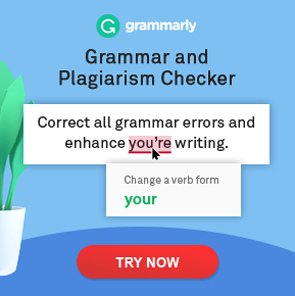 Include your thesis statement, which shifts the reader from the generalized introduction to the specific topic and its related issues to your unique take on the essay topic. You need to hook the reader right from the beginning. Draw them in by portraying the topics and issues in a tempting way so that your readers will keep reading. Watch this great video for further instruction on how to write an introduction to an analysis essay. The body of the paper may be compared to its heart. This is where you show off your talent for analysis by providing convincing, well-researched, and well-thought out arguments to support your thesis statement. You have already gathered the information and now all you may start crafting your paper. Choose the main sentence. The main or topic sentence will be the first line in your essay. The topic sentence is responsible for presenting the argument you will discuss in the paragraph and demonstrate how this argument relates to the thesis statement. Provide the context for the topic sentence, whether it relates to a quote, a specific incident in society, or something else. Offer evidence on who, what, where, when, why, and how. Give your analysis of the argument and how it adequately proves your thesis. Write a closing sentence that sums up the paragraph and provides a transition to the following paragraph. Repeat the thesis statement and summarize your argument. Take your argument beyond what is simply stated in your paper. You want to show how your argument is important in terms of the bigger picture. For instance, how does proving your Captain America thesis statement—Captain America: Civil War adequately captures the issue of giving up personal freedom for the sake of national security, a situation that mirrors actions taken by the government in recent years. Also, you may dwell on influence on citizens of the country. Now you are ready to write an analysis essay! See, it’s easier than you thought. Of course, it’s always helpful to see an analysis essay example. University of Minnesota and the University of Arkansas at Little Rock provide some great examples of an analytical paper. Help is here! Custom writing services can provide you with research and writing services that will ensure you have a great essay. You can also learn some other great tips for writing fabulous essays from these informative articles— Define Critique, Learn the Basics, Create Unbelievable Essays! and Examples of Argumentative Essays: Source of Knowledge and Ideas. how much is an essay, and is there a chance it can be plagarized? You have to remember that the price for our services depends on a lot of factors. You can find the detailed price quote here: https://custom-writing.org/prices (the page will be opened in a new window). You can check out the prices depending on the subjects and deadlines that you choose. No – it can’t be plagiarized: the papers are written from scratch according to your instructions. We also stress the importance of the fact that you CAN’T, under any circumstances, use our final product as your own work – the papers, which we provide, are to be used for research purposes only! Thanks for learning how to critique research papers in a proper way! This is what I need to cope with this task successfully! Thanks! Advantageous list of questions for research papers. They help to estimate the quality of the written research paper. To properly critique research papers is your chance to produce A+ papers.